What’s so special about this one? Well the promotion, silly! Remember all the god-awful yuck flavours from earlier this year? 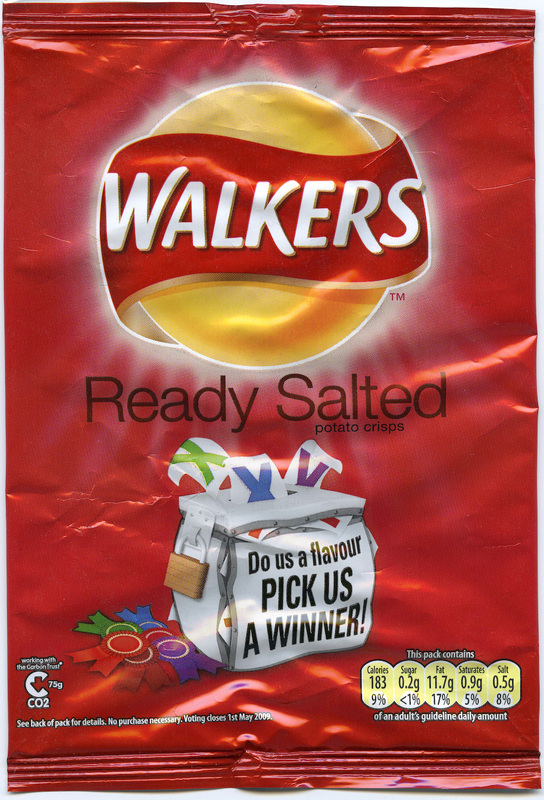 Apparently they’re still waiting for the verdict on Chilly Chocolate and Fish & Chips flavour. Ready Salted though are still an all time classic. Great with an all time classic sandwich, like all time classic sandwich flavour. Legend has it that “ready” salted is such an amazing thing to state in capitals, because the “salt and shake” crisps technically AREN’T “ready” salted, until you put the salt on it.